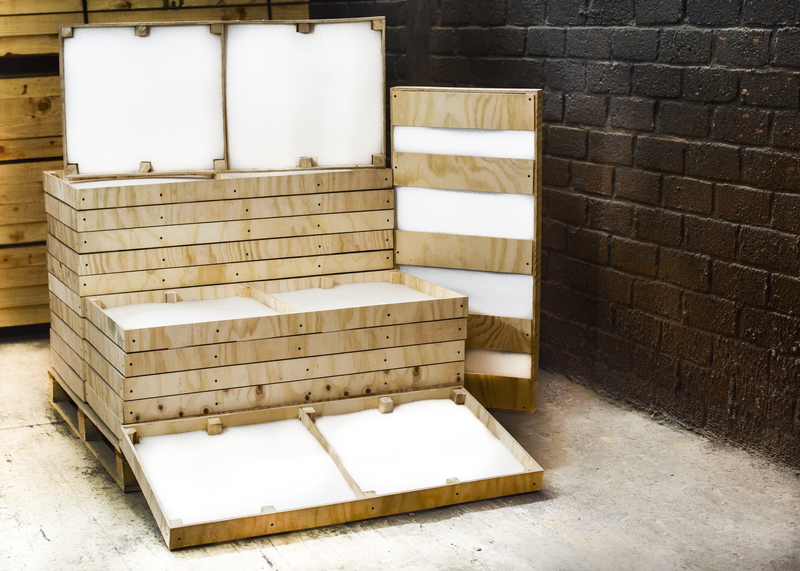 Our custom pallets, boxes and metal & wooden crate design all conform to you. We don’t just construct shipping crates and pallets. We provide trusted industrial packing solutions that meet all your specifications, including timeline, budget and design. Improve your operational inefficiencies by working with a responsive partner who supplements your team. Our custom wooden crate design and pallet manufacturing experts bring decades of experience, giving you proven solutions that integrate seamlessly with your workflow. No unnecessary delays. No communication black holes. No design surprises. Our transparent, five-step process ensures that you remain in the loop from design to delivery. During your initial consultation, we discuss your project specifications, timeline and requirements, including wood type and other materials and design considerations unique to your job. Our expert design team closely reviews your CAD files or designs a custom solution from scratch. Our technical team makes sure that each wood pallet design and metal & wooden crate design will stand up to weight, stress and domestic or international shipping standards. Our in-house production team at one of our seven facilities fabricates your shipping solution, using a variety of materials that provide the best results at the best price. Your crate undergoes rigorous testing under simulated shipping conditions, including drop/shake testing, impact testing and vibration testing to ensure superior performance under stress. No matter what your timeline or location, we deliver your crating to your location on-time, every time. In addition to rush services, we offer same-day delivery on a wide assortment of our most common products. Why trust PSAP with your crate & wood pallet design? When you have questions or changes, we’re always available. Contact us to discuss materials, ask questions or notify us of schedule modifications. We’re more than manufacturers. We’re custom shipping experts. We use our extensive experience to benefit you by suggesting designs and materials that will best meet your needs and budget. We specialize in projects with tight turnaround. Contact us with your timeline and let us get to work building a solution that works for you. In addition to standard woods, we can provide specialty woods, metals and other materials that meet your requirements. If you’re unsure of what type of of material will best suit your needs, just ask. We’ll suggest a solution. We can deliver to any city in Southern California, on the US/Mexico border, or within 200 miles (~300km) of any of our seven factories located in the main industrial centers throughout Mexico. We also offer same-day delivery for all of the products that we keep in safety stock on your behalf. We have been recognized for both our ethics and professionalism. We maintain ISO 22000 certification and Forest Stewardship Council (FSC) Chain of Custody certification.